As a behaviourist and breeder I can confidently tell you this is not true. Nature and Nurture has a huge impact. A puppy will inherit genes from its parents and these genes will impact the puppies genetic potential to behave in a particular way. Strong instinctive behaviour to hunt, chase, grab and hold. When people breed dogs they sometimes select for specific traits and sometimes not. If someone is breeding for a particular look or just money then these traits can become altered becoming stronger or weaker. Then the puppy is born and the first 8 weeks learning with the breeder will have an huge impact on the development of all these genetic traits. My four puppies have all come from the same parents and been reared in the same environment. They have very individual personalities. The training and socialisation they receive in their new homes will only influence the genes and first learning, it won’t change their personalities. Firstly learn about breed traits and instincts and make sure you pick a puppy that will suit your lifestyle. For example there no point getting a breed that is ‘aloof with strangers’ if you have 3 young children and lots of friends. Secondly meet the parents or (genes), see what they are like. Make sure you are meeting the actual parents, some people buy in puppy farmed litters and then ‘hire’ an adult of the same breed to pretend the puppies were bred there!! Thirdly make sure the puppy has had plenty of early neurological stimulation and learning before it leaves the litter. Ask these questions. 1) What have the puppies seen? 2) Who and what have they met? 2) What have they learnt? 3) How have they learned to play? 4) What do they do if they get frustrated? 5) What do they do if they get bored? 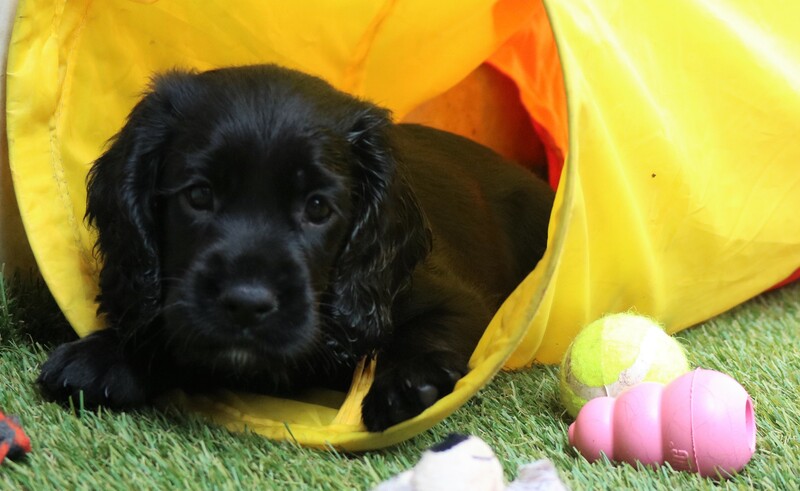 A professional trainer can help support and guide you on the process of looking for a puppy. Don’t wait till afterwards for help. First Learning is the strongest, make sure you get it right first time.